With a class this week explaining the college of cardinals and other aspects of the Catholic hierarchy to some undergrads, in honor of the weekend’s consistory creating 20 new princes of the Church, I found a few helpful resources worth sharing. The Vatican’s website has upped its game, in offering some new statistics on the College of Cardinals. You can find lists by name, age, or nationality. Graphs indicating the distribution of cardinals according to the pope that appointed them, the percentage of electors vs. emeriti, or how many serve in the curia. The graph below breaks down membership according to geographical region. The independent Catholic-hierarchy.com has already updated its lists, which can be sorted by various values. The incomparable CGP Grey offers some illumination in his clip “How to become pope”, meant for popular consumption. One thing I could not find was a map indicating where the cardinals were from. Something to give visual aid to the question of a more globalized Church reflected in a more globalized college. So I created one. Click on the (scarlet) pins to see basic information about each cardinal. Residential cardinals – that is, those cardinal-presbyters who are bishops or archbishops of dioceses around the world – are located according to their See. Curial cardinals – mostly cardinal-deacons serving in the Roman Curia – are located according to their place of birth (and they represent 28% of the total electorate). There are options to see retired/over-80 cardinals, too, also organized by curia or diocese. Their pins are a lighter shade of scarlet (cough… pink… cough). A couple of immediate observations, beyond the overcrowding of Italy, were some of the wide open areas without any: No Scandinavian cardinals, none from easternmost Europe or central Asia. For China, only Hong Kong. 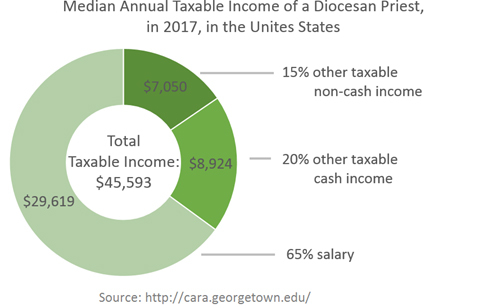 In the US, all but one of the diocesan cardinals are from the eastern half of the country, and that even counts the retirees. There is a small corridor from the great lakes to the north Atlantic coast that accounts for the overwhelming majority of North American cardinals, leaving one thinking it might be time to move some of those pins to the likes of Vancouver, Seattle, Denver, Indianapolis or Atlanta. Or, if we want to go peripheral, maybe Tucson, Honolulu, and Juneau. Would love to hear thoughts,take corrections, or hear it has been used by other teachers. This weekend, word started getting around that the much anticipated reforms of the Roman Curia were finally ready for delivery – at least a number of them. Pope Francis met with the dicastery heads this morning to give them a preview of changes, though no official word yet on what they all will be. What has been announced is that there is a new prefect of the Congregation for Divine Worship, which has been vacant since Cardinal Canizares Llovera was appointed as Archbishop of Valencia at the end of August. The new top liturgist of the Roman curia is Cardinal Robert Sarah of Guinea. 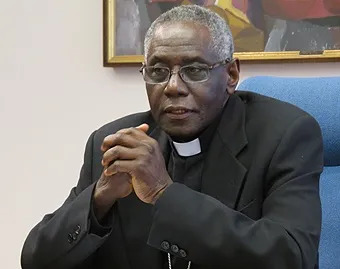 Cardinal Sarah has been working in the Curia since 2001, first as Secretary of the Congregation for the Evangelization of Peoples, and since 2010 as President of the Pontifical Council “Cor Unum”. The new prefect, like most of his predecessors, has no formal education in Liturgy. Among the long awaited and predicted reforms to the curia will likely be the establishment of a Congregation for the Laity – raising the dicastery dealing with 99.9% of the Church’s population to the same level as the two (Bishops and Clergy) that deal with the other 0.1%. The new Congregation would have, it seems, five sections: Marriage and Families; Women; Youth; Associations and Movements; and one other. Too much to hope it would be for Lay Ecclesial Ministry? The current Council has a section on sport, so perhaps that would be maintained, but I suspect not. No one would be terribly surprised to see the new prefect of such a congregation turn out to be Cardinal Oscar Andrés Rodriguez Maradiaga of Honduras, since he suggested the move publicly last year. What would be a true sign of reform would be to appoint a lay person or couple with degrees and work experience in lay spirituality, lay ministry, or something related. Then make the first lay cardinal we have seen in a century and a half. The new congregation would certainly combine and replace the Councils for Laity and for Family, but could possibly also incorporate New Evangelization or Culture, which are directly related to the apostolate of the laity in the secular world. If you read Evangelii Gaudium, though, it is clear that Pope Francis sees the “new Evangelization” as an aspect simply of Evangelization proper, and I would be less surprised to see this Council incorporated into the Congregation for the Evangelization of Peoples. Culture would be appropriately aggregated to Laity. The other big combination long anticipated would be a Congregation for Peace and Justice – or something similarly named. It would combine the Councils of Peace and Justice, Cor Unum, Health Care Workers, and the Pastoral Care of Migrants and Itinerant Peoples, and possibly the Academy for Life. It would have sections corresponding to these priorities: Life; Migrants; Health Care; Charity; and Peace and Justice in the World. Presumably, Cardinal Peter Turkson of Ghana would continue from the current homonymous council as the prefect of the new Congregation. Finally, a revamp of the Vatican Communications apparatus has been underway for a couple of years, and we could expect to see something formal announced much like the Secretariat for the Economy. Perhaps a Congregation for Communications, or at least a stronger Council, with direct responsibility all communications in the Vatican: L’Osservatore Romano, Vatican Radio, CTV, the websites, various social media, the publishing house, etc. The combination of the Congregations for Bishops and Clergy – have a single congregation with three or four sections: Bishops, Presbyters, Deacons, and Other Ministers/Lay Ecclesial Ministy. This would be especially possible if the responsibility for electing bishops – only in the modern era reserved to the pope – could be carefully restored to the local churches in most cases. The creation of a Congregation for Dialogue, replacing the Councils for Promoting Christian Unity, Interreligious Dialogue, and the Commission for Religious Relations with the Jews. It would accordingly have several sections: Western Christians; Eastern Christians; Jews; Other Religions. Perhaps the whole Courtyard of the Gentiles effort could be folded into this as well. Alternatively, leaving Ecumenism and Interreligious Dialogue in separate dicasteries but with more influence, like requiring every document coming out of the CDF and other congregations to be vetted before publication, to make sure they incorporate ecumenical agreements and principles as a sign of reception. Formalization of the separation out from the Secretariat of State for responsibilities relating to moderating the curia. The Secretariat should be dealing with diplomatic issues. The rest could be reorganized in a number of different ways. Streamlining of the judicial dicasteries, including removing the judicial aspects out from CDF and into a stand-alone tribunal. Granted, it is thanks to then-Cardinal Ratzinger and the CDF that any movement on abuser priests happened, but it is still anomalous to have. (Still need to work out what this would look like though). 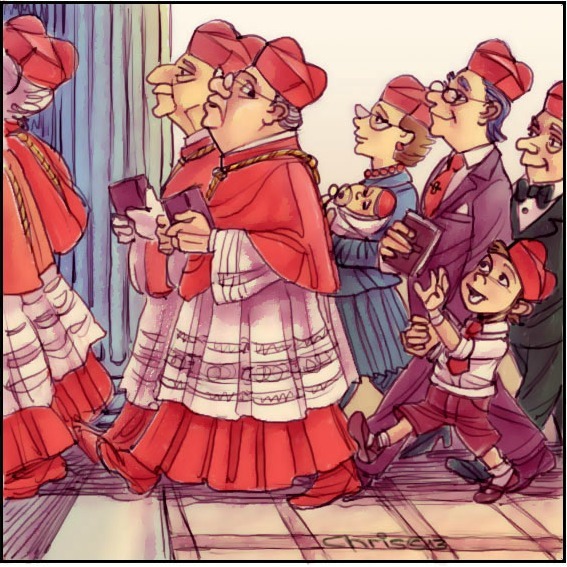 A consistory which creates no new Italian cardinals – lets get the numbers down to a reasonable amount. Like five. If there are any (North) Americans, they would be the likes of Bishop Gerald Kicanas from Tucson, Archbishop Joe Tobin of Indianapolis, or Archbishop Peter Sartain of Seattle – but nobody else from east of the Mississippi. Maybe a bishop from Wyoming or Alaska, the real “peripheries” of American Catholicism. 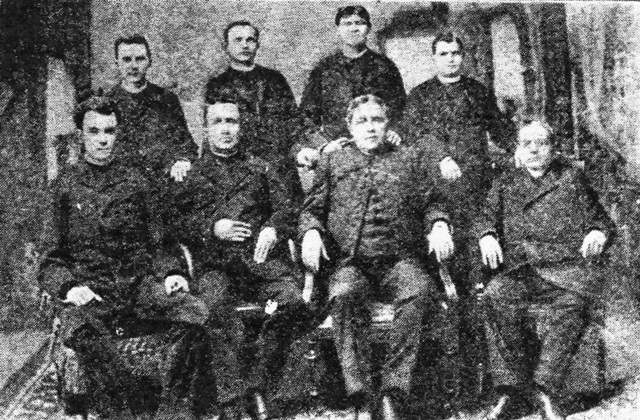 At least five Brazilians and another Filippino. Maybe an Iranian. Above all, nobody would be appointed to serve in a dicastery without a doctorate in the relevant field, and experience in that area of ministry. The last being Teodolfo Martello, who was created cardinal while still a lay man, though he was ordained deacon two months later. At his death in 1899, he was last cardinal not to be either a presbyter or bishop. 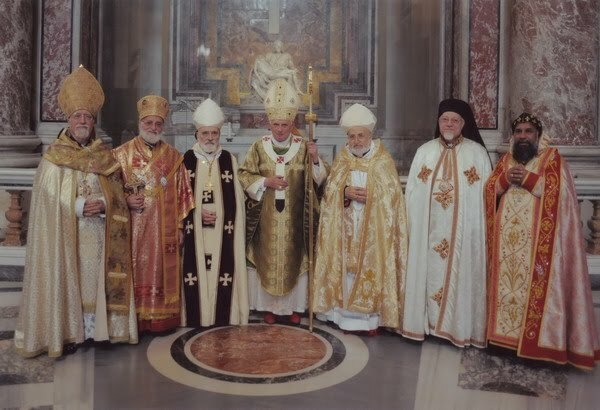 Since 1917 all cardinals were required to be ordained presbyters; since 1968 all were normally required to be ordained bishops. 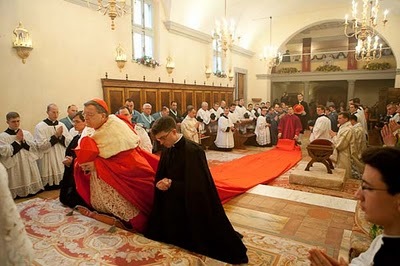 Since September, it seems nothing has been bigger news in the circles of ecclesiastical gossip and intrigue, especially for the aficionados of the Tridentine liturgy, than the rumored “demotion” of Raymond Cardinal Burke, a Wisconson native and former Archbishop of St. Louis, who has been serving as Prefect of the Apostolic Signatura since 2008. Radical Traditionalists, already no fans of Pope Francis, immediately went into hyperbolic fits of indignation: Never has a cardinal been treated so badly! What disrespect! How ham-fisted! It’s a junta! You might as well decapitate him! Where is Pope Benedict? Or Pius X, better yet? This is all Kasper’s fault! Woe is us! The modernists are coming! Naturally, the secular media picks this up from the conservative Catholic blogosphere and puts their own spin on it: Burke is demoted for opposing reforms in the Synod; Burke is demoted for calling the Church rudderless under Pope Francis; Burke is demoted for disagreeing with Pope Francis on LGBT issues, etc. Though he confirmed the rumor himself in the midst of the Synod on the Family, the official appointment was only made on 8 November, when Burke was appointed as Cardinal Patron of the Sovereign Military Order of Malta – a crusader-era hospitaller order that continues its millennium-long tradition of service and chivalry from its headquarters on Rome’s Aventine hill. But the truth is, if Pope Francis were really interested in ungraciously demoting Burke, he could remove him from the College of Cardinals altogether, send him into cloistered retirement permanently, or appoint him as bishop of some small diocese somewhere (I hear Spokane is open). The fact is that nearly all the cardinals working in the Roman Curia as heads of dicasteries lose their office when the pope that appointed them dies or resigns. The new bishop of Rome has complete freedom to either confirm them in their appointments, reappoint them anew, give them a temporary appointment, or let them go altogether. All cardinals are basically at-will employees of the Pope – more so than any other office in the Church, the Sacred College is tied directly to the personal prerogative of the bishop of Rome. Cardinal Burke was never confirmed in his office as prefect, but was simply left there on an interim basis – even for longer, at 18 months, than several others in the curia. This happens with every single new pope. All the time. About ten months after his election, Pope Benedict XVI effectively combined two Pontifical Councils – Culture and Interreligious Dialogue – under the leadership of a single president, and sent the former president from Interreligious Dialogue out to the nunciature in Cairo, without the dignity of the red hat that usually goes with his former office. Pope St. John Paul II was known to be heavy-handed with bishops in a way that neither Francis nor Benedict can be said to emulate. In the 80’s he placed the Archbishop of Seattle in a bizarre power-sharing arrangement with a freshly minted auxiliary bishop (not a coadjutor) for a year. In the 90’s he appointed a French bishop to a diocese that has not existed for fifteen centuries, just to force him out of any pastoral responsibility. Pope Bl. Paul VI transferred one bishop who opposed reform efforts from being ordinary of a diocese to serving as auxiliary of another. By comparison, Burke is being given a plum assignment. He gets a cushy residence, gets fêted and fed, gets to dress up in his beloved baroque wardrobe, and never has to worry about his livelihood. On top of that, he actually gets to work with an established and internationally respected humanitarian organization. I would not mind being “demoted” like this. Not at all. 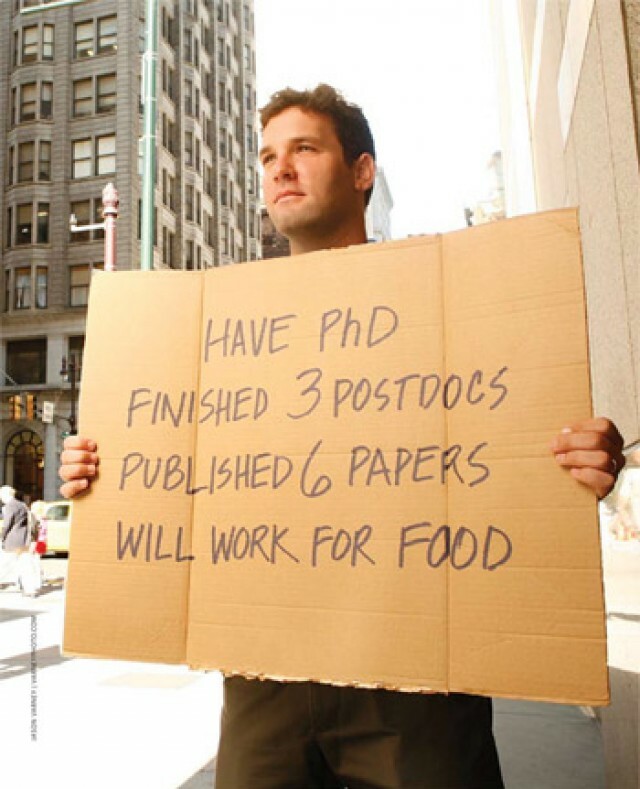 (Except for the garb, i suppose). Cardinal Burke served for just over six years as prefect of the Apostolic Signatura – longer than any of his seven predecessors going back to the days of Paul VI. It is true that he has become the poster-bishop for the Extraordinary Form of the Roman Rite – the Tridentine Mass. He is more widely known for his watered silk and lace ensembles than for his various canonical accomplishments. He is outspoken in his criticism of even the slightest suggestions at reform in the church, a voice for the status quo and the fortress-against-the-world approach to ecclesiology. This is not the message the Church should be sending. Noble simplicity does not call for acting simply like nobility. The Church does not need princes in renaissance and baroque regalia, it needs shepherds and servants garbed like Christ the Deacon, ready to wash the feet of the disciples of God. It seems somehow fitting to match Burke with the Sovereign Military Order of Malta. An affinity for flashy capes is perhaps not their primary charism, but it is a starting point that they share with their new patron. It can be done in context, not as an historical recreation or an exercise in liturgical nostalgia. Does anybody think he would be better suited at Cor Unum or Christian Unity? 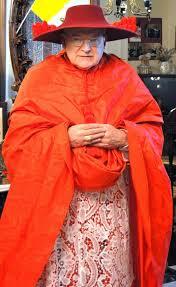 Archpriest of Mary Major? Or perhaps as a diocesan ordinary back in the States somewhere? Personally, I wonder why there is not just a personal prelature for the devotees of the Extraordinary Form; make Burke the prelate. 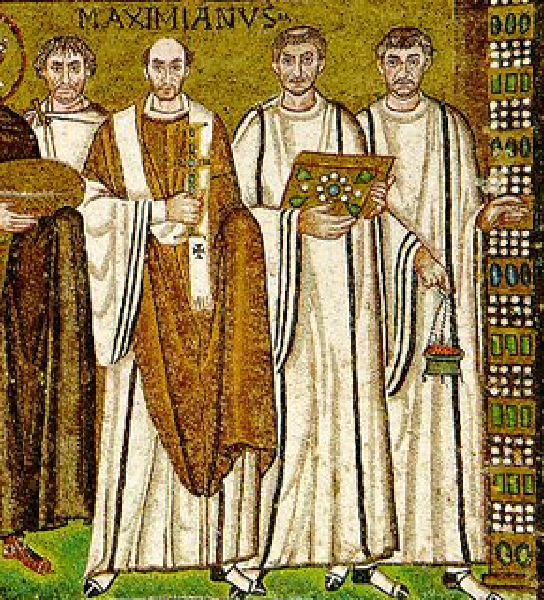 Or perhaps personal ordinariates might be more fitting; make him one of the ordinaries. If there is one bishop (in this case a cardinal) representing that movement in the church, it would be enough. If it is that ministry which gives him the most joy, and for which he gets the most support, would not that be just the place to put him?